Car hire in Tenerife. Best car rental in Tenerife. Cheap car hire Tenerife south. Flights to Tenerife. Cheap flights to Tenerife. Invest in Tenerife. Tenerife investment property. 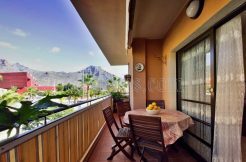 Buy to Let Tenerife. Mercadona Tenerife. Mercadona near me. Tenerife supermarkets. Tenerife food. Best food in Tenerife. Tenerife recipes. Teide walking routes. Teide hiking trails. Tenerife map. Tenerife south map. Tenerife island map. Tenerife property management. Tenerife south management services. Time in Tenerife. Time difference Tenerife. TITSA Tenerife bus. Tenerife bus timetable 2019. Tenerife bus map. Where is Tenerife? Is Tenerife in Europe? Is Tenerife in the EU? Is Tenerife in Spain? Happy Halloween Streets in Costa Adeje, Tenerife! Tenerife Carnival 2017. Santa Cruz Tenerife carnival 2017 calendar. Brexit: what would it mean for your EU holiday home?